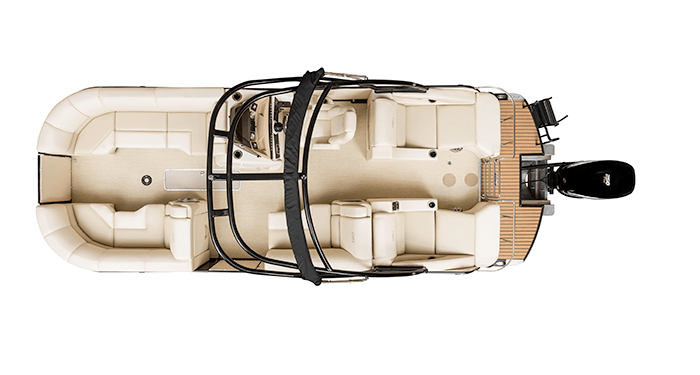 You really can have it all. 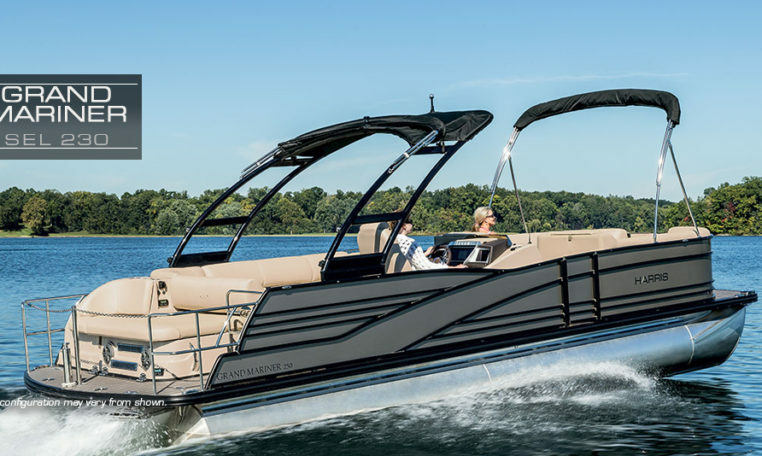 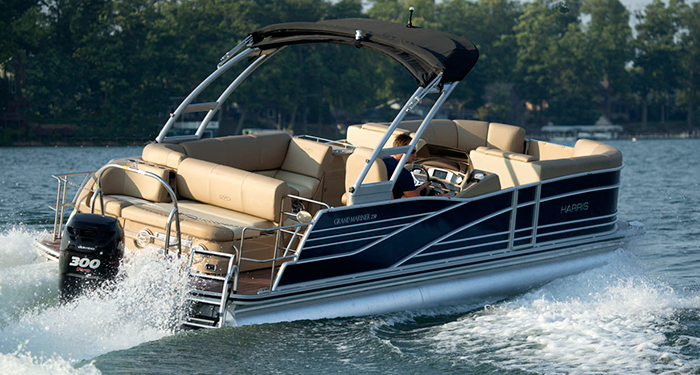 With the Grand Mariner SEL 230 I/O pontoon boat, you’ll enjoy entertaining guests and relax in the summer sunshine while also having on hand the specific features and generous performance you’ll need to provide high-octane watersports action. 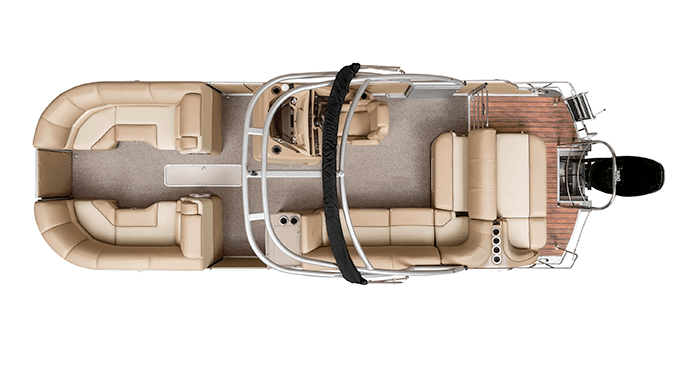 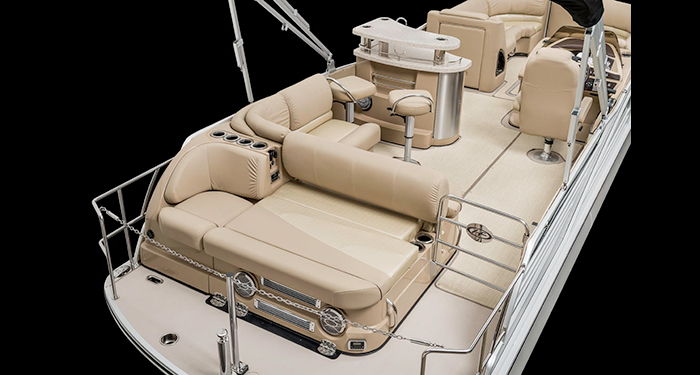 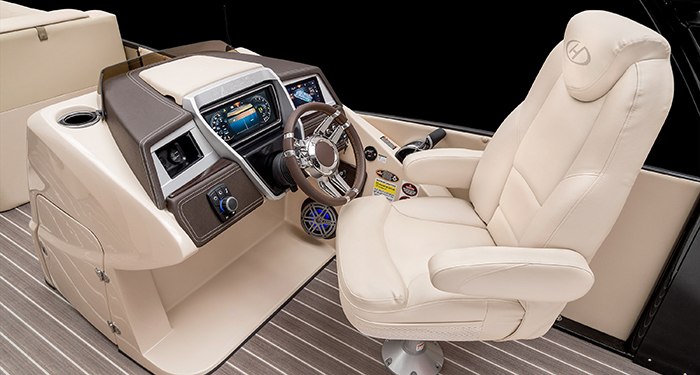 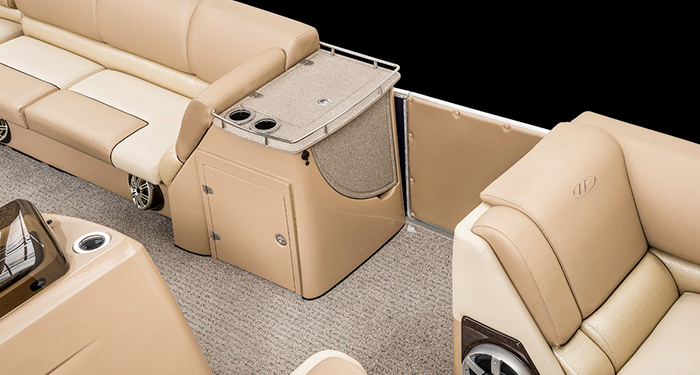 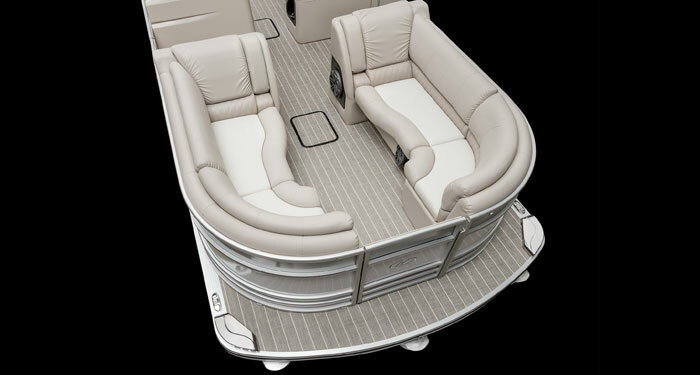 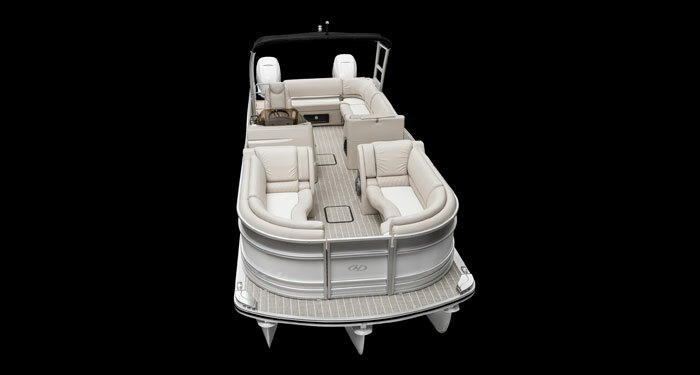 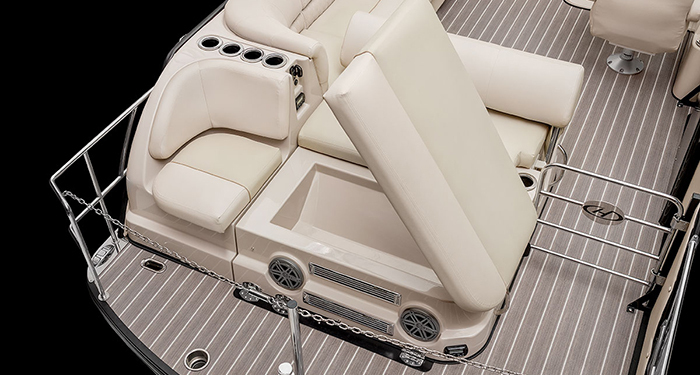 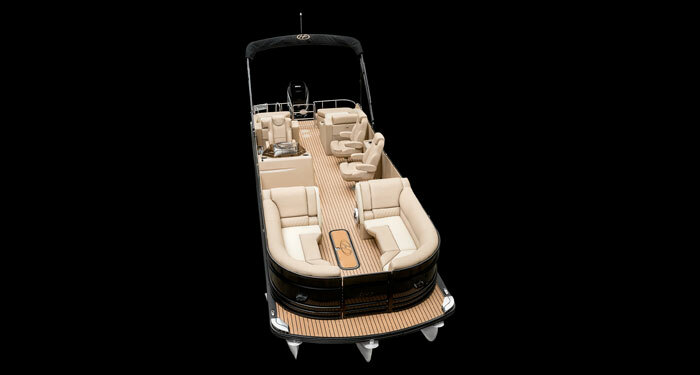 The SEL 230’s open floor plan offers two spacious bow lounges, amidships lounge opposite the UltraLux high-back reclining helm seat, sun pad and a luxurious rear-facing relax with flip-top backrest. 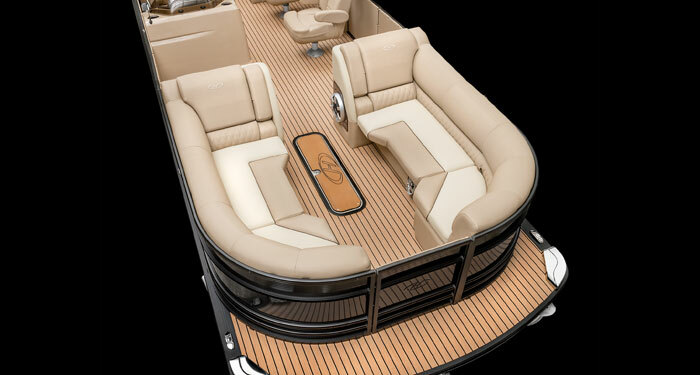 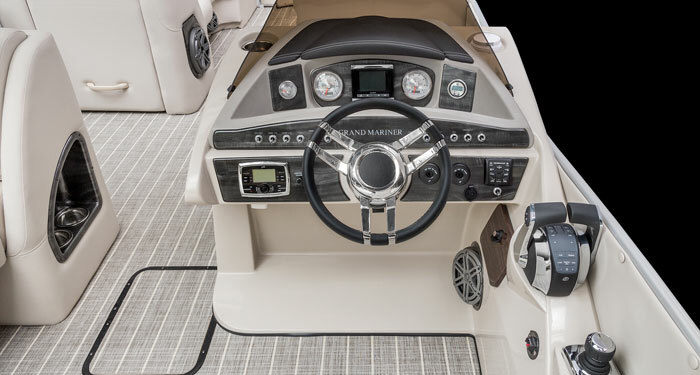 It also features an open transom for unfettered access to the large swim deck, and an available port bow group replaces the portside bow lounge with two UltraLux seats and a flip-up table. 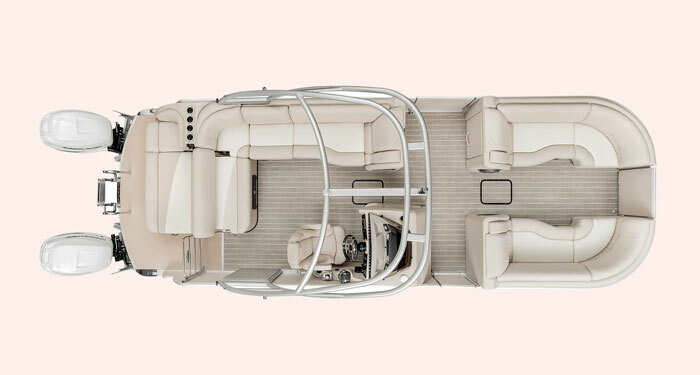 For skiing and boarding, the SEL 230 incorporates a removable ski tow pylon and performance package as standard gear, while a convenient ski locker and lighting package are available add-ons. 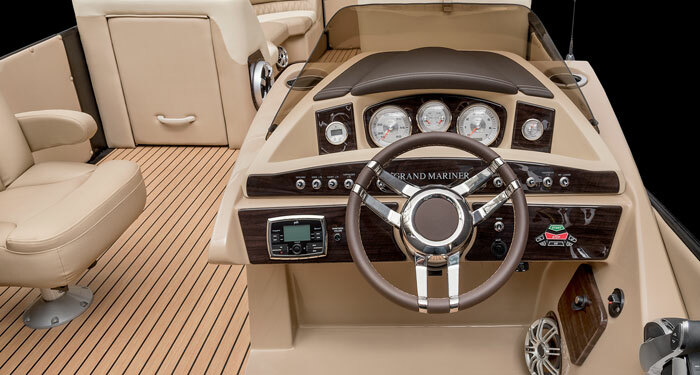 What’s more, you can choose a stereo upgrade, state-of-the-art electronics, pillow-top furniture and so much more, including exquisite coverings and flooring options such as Faux Teak, Teak Vinyl and Woven Teak in a variety of colours. 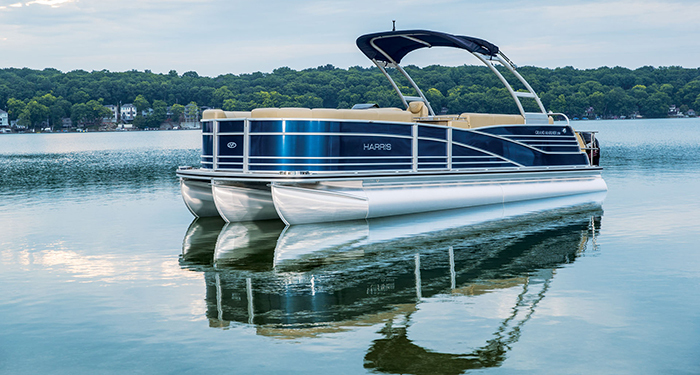 A day on the water has never been quite like this.